Nyanyian lagu “ Sayang Keluarga”. Membuat gambar keluarga dengan doh. Mencantumkan gambar keluarga yang telah digunting. Teacher show the family picture and name the member of family eg: father, mother, sister. The children read aloud and identify the member of family. Each one says that I love you! No one's Father is so sweet. Sung to: "Row, Row, Row you boat"
Sung to: "My Bonnie Lies Over the Ocean"
My Daddy helps me when I'm sick. My Daddy helps me when I'm blue. My Daddy helps me when I'm sad. Sung to: "Oh, My Darling Clementine"
When I'm with you I am so glad! I love mother, I love mother. Finding time for me, this gal. My mommy helps me when I'm sick. My mommy helps me when I'm blue. My mommy helps me when I'm sad. I love you mom, I love you mom. Sometimes Mom says "don't do this"
Sometimes Mom says "don't do that"
Still she loves me that I know. Sometimes Mom says let's do this. Sometimes Mom says "kiss, kiss, kiss!" Sung to: "Eensy, Weensy, Spider"
Sung to: "Five Little Ducks"
Because she loves me so. Guru bersoaljawab dengan murid tentang adab sewaktu makan. (orang tua didahulukan). Guru memperdengarkan bacaan doa makan. Guru menunjukkan gambar Hari Raya. 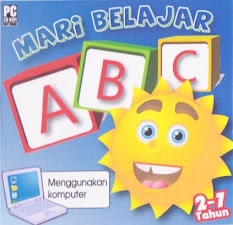 Guru dan murid bersoaljawab tentang gambar. Main peranan- melakunkan cara menghormati ibu bapa. Guru bercerita tentang sifat bekerjasama dengan keluarga. Murid meletakkan gambar keluarga yang disayangi. Membentuk kad ucapan selamat Hari jadi untuk ahli keluarga. 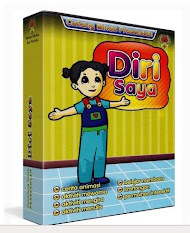 Guru dan murid bersoaljawab tentang mengapa kita mesti menghormati ibu/bapa. Guru menunjukkan mimik muka gembira, sedih dan takut. Guru melukiskan mimik muka berdasarkan emosi tertentu. Guru dan murid bersoaljawab tentang perlunya mematuhi nasihat dari Ibu bapa. Menyatakan sebab-sebab dan akibat dari tindak balas yang tidak menurut nasihat Ibu bapa. Menyanyikan lagu dengan melahirkan perasaan melalui lagu. Cth : Kasih Pada Ibu. Guru menunjukkan pergerakan. Murid melakukan pergerakan mengikut rentak muzik. Directions: In advance (or if the children are old enough the can do it themselves. ), cut out magazine pictures of male adults doing things with children and pictures of female adults with children. Glue picture onto a piece of paper for a family collage. Directions: Give each child a cut out of a person (kind of like a gingerbread man pattern) from multi cultural colored paper. Then the kids can decorate and make any family members they wish to. Then attach them to craft sticks and there you go. Directions: Have the child draw a picture of each member of the family. Include the pet if the child has one. Cut out each family member. Glue each picture on strong paper or cardboard. Hang the pictures using yarn or string on a hanger to make a mobile. Print the last name on a piece of paper and fasten it to the hanger. Hang your mobile in the classroom. Directions: Give them each a tree shape drawn on a piece of paper and sponges cut into apple shapes have them sponge paint the apples onto the tree to represent each family member provider will write names on the apples. children add windows, doors, trees, etc., cut from construction paper (or draw on details) to resemble the child's house. Have the children draw the members of their families and include pets on tongue depressors and place them into the house. Directions: Have the children make a collage out of magazine pictures of families. (this will be the arms). Glue one handprint on either end of the long rectangle (arms). Write on the arm part: "My family is special because........" Have the children finish the sentence. Directions: Use different sizes of potatoes to represent each family member paint them different colors & print onto construction paper. Directions: Let the children create a picture of their family on the inside of the plate. Then put holes in the sides of the plate and thread the yarn through it. Now you can hang the family portraits on the wall. Directions: Take a piece of construction paper and hold it like a hot dog bun. Fold the top down to the bottom. Then take the paper and turn it so that the fold is on the right side. Then go down about an inch from the top and on both sides of the paper cut about 2" in (on each side) but NOT all the way in to the middle. These two cuts with make the collar if you fold the two pcs. down to the middle. Add a wallpaper tie and it is precious. She cut the folded side so that it would open up and she put a poem on the inside. Optional: You could add a pocket and fill it with "coupons" for DAD. magnet on the back and the child's picture on the front. Directions: A small bookmark-shaped strip of posterboard with the child's photo glued on one end and the words "I'll save your place, Dad" written on it. Then the children decorate it. I don't have a laminating machine, so I just cover it (both sides) with clear contact paper. paper approximately 18" x 2.5" with the words "I love you this much!" written on it. Directions: Glue a hand on each end and the photo in the center (extra material on the backside). Fold the ends in so that it looks like a child with his arms folded in front of him. When you open it out, the outstretched arms will let it stand on a desk or shelf. I hope I explained it well enough. It really is adorable. I've used it for both mom and dad. Directions: Go to any store that sells ties. I would recommend a thrift store such as Goodwill or the Salvation Army or any store like those. Buy white or off white ties. Have the children dip their hands in Fabric paint and press onto the ties. Let dry. Directions: Father collage from pictures of men and children cut from magazines - have them dictate a story describing their choices and what they mean. Directions: A desk blotter or mouse pad from pictures on construction paper that has been contact papered. Directions: Decorate a strip of construction paper in any fashion then contact paper it around a can brought from home. Directions: We make mobile (wind chimes) out of old screws , nuts , and bolts. I got old scraps of wood and used fishing line to connect the nuts and bolts to the old piece of wood. Directions: I went out today & asked for some nail aprons for the children to decorate 4 Father's Day. The big companies like Builders Square would not give me some. So I went to the small independent company & it worked! I now have 30 nail aprons for my kids to decorate & give to dad. I bought a bunch of permanent sharpie markers & some fabric paint. I'll let my kids put on a few handprints & use all those different colored markers. ring is the ribbed part). Draw the shape of a tie (the large diamond look) in the middle of the circle and cut out. Make sure the tie starts at one side of the circle and ends at the other side so your tie will be as long as possible. This cut out shape should look like the part of a tie you see laying on the front of a man's shirt when he is wearing the tie. Staple the tie shape to the ring shape. Place the staple on the opposite side of the cut you made through the ring shape. You should be able to slip the ring around your neck like a necklace and the tie shape should be resting on your chest just like a real tie. The ring around your neck is what holds the tie on. You may decorate your tie with crayons, markers, paint, glitter, buttons, sequins, or anything else you would like to add. You can also stamp or sponge paint your tie. some gum, a small note-pad ( on the first page we made a coupon for Dad to take the whole day OFF!). section only and fold the card closed, being certain the pop-up lies flat. Your design will pop up, covering much of the cube when the card is opened. Now the fun really begins. You might want to write Happy Father's Day on the front of your card, with a message to Dad inside. Color and decorate the card, inside and out using crayons, markers, and glitter. Use your imagination! Directions: Cut out ties about 8 - 10 inches long out of construction paper. Have the children decorate them with paints. On the back put their names and date and laminate it. Put a piece of elastic through two holes punched into the top on each side. Need: Men's T-shirts, Fabric Paint. Directions: Have the children make hand-prints on the back of the T-shirts, then write, "This Dad Needs A Pat On The Back." Directions: Each child brings a can of their dad's favorite soup. Take a piece of construction paper the size of the can label. Let the children decorate the label using markers, crayons, stickers, etc. Make a tag that says, "Souper Soup For A Souper Dad." Put a stick bow on top of the can. Directions: Cut a bookmark whatever size you would like. Have the children watercolor one side with Q-tips and on the other side put date and message to dad. When dry, laminate it and tie a ribbon through a hole punched out on top. Need: Assorted colors of paint, Construction paper, Copier paper, Stickers, crayons, markers, etc. papers inside. Let the children decorate their covers. The dads can then tear out the pages of the card and present them to the children when they need a "helping hand." Directions: First, make decorated snack food containers for Father's Day. Cut the construction paper to fit the coffee cans. Let the children decorate the construction paper with stickers, paint, markers, crayons, etc. Glue the children's decorated papers onto the coffee cans and then cover with clear contact paper. Next, make a Father's Day snack to put into the cans. Let the children help mix the fish crackers, pretzels, raisins, cheerios, and popcorn together. Fill the cans with this snack. pieces on the poster board, around the hand print to create a frame. Need: Popsicle sticks, Glue, Paint (two or more different colors), Tomato sauce can (remove one end of the can and the paper). Directions: Paint Popsicle sticks whatever colors you have chosen. When these have dried, glue them to the tomato sauce can. These make neat pencil holders for dad. wrapped around our fingers" He truly loved the print & it now hangs in our foyer for a permanent reminder of their little hands. Directions: Cut off curved sides from meat trays. Have children decorate using permanent markers (I know it's hard for the young ones to keep permanent markers off everything, so you may need to keep an eye on them.) With a black permanent marker write your message. I had the children write it with a pencil first and then trace with marker. We used the message Happy Fathers Day. With a sharp instrument make a hole in the meat tray close to the edge but not too close. Write the kids name and the date and any other special message also with permanent marker. Now the really neat stuff. Place the meat trays on a cookie sheet lined with foil and place in a low oven for 2-5 minutes. ( Keep an eye on them as they tend to roll up and stick together) The meat trays heat up, shrink and get hard. I added a key ring in the hole and made key chains for Father's Day. The mother's in my class were very upset and jealous that the fathers were getting this. Directions: Fill a latex examination glove or a balloon with clean sand. I used it out of our school sandbox so I sifted it first. I will let the children do all of this. Fill the glove until it is very full. Then tie it in a knot. I will let the children decorate it with permanent markers all colors. On the palm area write: To the best Dad, Hands Down! On the fingers add smile faces. : ) add hair etc...Write: I Love You down the fingers. Write: Happy Father's Day on the back palm area. Add fingernails color them red. Add rings ....get creative. Now this blob hand is a great item to set on a desk. It's very unique. It can be posed. Add your rings to the fingers. It can hold small cards. Great stress reliever. You can lay it flat & press down on the palm area to make an indentation. It can hold small coins. I don't think many dad's have these. When I was experimenting with the gloves all my co-workers wanted one. Keep in mind that you want the glove to be full so that the fingers stand upright. You also need to squeeze out any air that is inside the glove so you don't have a bubble. It is very easy to do. Directions: Let the children wrap their gifts in wrapping paper they have made from newsprint stamped with fish shaped sponge painting (or car/truck sponge shapes). Directions: What about a rock paper weight, have your kids paint it any colors they want add those eye's that move, a felt nose, mouth, ears, tail etc. Put felt on the bottom of the rock and wa la you have a paperweight. Directions: We decorated them with their dads favorite things I.E. golf tees, fishing flies, rubber worms etc. They were too funny. the box toward the front. Stick dried flowers into the clay so that they come forward and stick out of the "window". microwave popcorn, two juice boxes, and place them in the bag. The children can go home and have a nice quiet snack with mom. card or make a book. Dear Mother, I love you lots and lots!! Directions: Cut a doily into a heart (or buy it like that) and make it into a flower (add cut stem and leaves) put child's handprint on top of doily. Glue all onto bright colored paper. At the flower we shared on your SPECIAL DAY! Need: Pasta shapes, Wheels, Straight Pasta with holes, Hearts, Bow Ties (tie on with pretty ribbon), Other shapes w/ holes to string, Dye pasta w/ food color & alcohol. color in the rubbing alcohol. Add the pasta & drain. I do a small amt. of pasta @ a time & use a slotted spoon to drain the pasta. I keep using the colored alcohol. The pasta dries quickly. I use all kinds of bright colors. When dry let the children string the pasta on pretty ribbon. Tie on the bow tie shapes. This really is cute & fun for the kids. My mom's were proud to wear these beautiful creations that their child made. Directions: The Friday before Mother's day is provide them with a tissue corsage to take to work with them. Buy the colored facial tissue that is 2 ply. Fold the tissues in a fan, tie yarn around the middle and fluff them up. Round the edges to make them prettier!!! Need: Potpourri, Small Pie Tin, Pom poms, Gold Glitter, Tan Felt, Glue, Scissors, Pencil, Wax paper. Directions: Place your pie tin upside down on the tan felt. Trace the shape with your pencil and cut out the "pie crust". Open your packet of potpourri. Don’t eat it! It smells better than it tastes! Pour it into the pie tin. Fill up your pie tin with pom pom "apples"
Put a bead of craft glue around the edge of the pie tin and cover the pie with the felt crust. Place a sheet of wax paper on top of the crust and place a book on top until the glue dries. Don't use a really heavy book, or you may end up with "applesauce". When your pie is dry, decorate the top by drawing lines with glue and sprinkle with glitter. Your pie is done! Doesn't it smell yummy? Put it anywhere you'd enjoy the delicious aroma of fresh apple pie! Need: 8x8-in. square of nylon netting, a large cotton ball, dusting powder, ribbon and small artificial flowers. Directions: Shake the cotton ball in a bag filled with the dusting powder. Center it in the nylon net. Gather the net around the ball and tie with a ribbon. Add a small artificial flower in the ribbon. An easy and cute sachet for Mom's drawer. The kids like it because it smells so good! And tied it in a special place. Directions: Combine Ivory Snow powder (the laundry detergent) and water to make a dough. Be sure to add the water as you mix until you have a playdough like dough. shapes for Mother's Day. You can add food coloring to the water before mixing to create wonderfully colored soaps. Just be sure to explain that this is soap and that the kids should be careful not to touch their eyes!! Need: Kitchen supplies and plain, clear soap are all you need to make luminous bars of soap. They can be any color you like. Colors can also be layered in one bar.. natural additions make unusual, beautiful soaps. Try poppy seeds a spiral of citrus peel oatmeal, fragrant dried herbs, or a fern sprig. For molds use the bottom of a milk carton to make square soaps, or try a smooth sided tomato paste can for cylindrical shapes. Plastic chocolate molds also work..
minute until melted completely. Skim froth from top. Mix in tiny amounts of liquid food coloring. Blend colors as desired. For scented soap add essential oils- natural scented oils the essence of the plant from which they are derived. Can be found in specialty bath and beauty shops. 2. Brush chosen mold with more essential oil or with vegetable oil. Pour melted soap into mold and let stand until hardened, about 2 hours. To make layers, pour one colored soap into a mold and let it harden for about 20 minutes. Skim off any bubbles and pour another layer into the mold and let stand until hardened. The natural additions can be mixed into the melted soap or placed on top of one layer before adding another. 3. Remove the soap from the mold by ripping away the milk carton, opening the can at the bottom and pushing out the soap or inverting the plastic mold and tapping the bottom. Hardened soaps can be cut into smaller bars. Directions: Using a glue gun, attach safety pin back to each cracker. Pins can be purchased in quantities of 10 or 15 at your nearest craft store. After attaching the pin back, have children paint crackers using tempera or poster paint and polyurethane for a shiny coat. Simple and adorable. Directions: Another pretty bouquet to give for Mother's Day is one made of egg carton roses. Cut up cardboard egg cartons and trim around each cup to form the "rose". I usually have each child make six. They then paint the cups red inside and out. When dry poke a small hole in the bottom through which a green pipe cleaner is inserted. Curl the top of the pipe cleaner to keep the rose from falling off. The children can cut a construction paper leaf for each stem and glue to pipe cleaner. You now have a beautiful bouquet of long stemmed roses! They can be tied with a ribbon and wrapped in green tissue paper like they are when you buy real roses at a florist, or put into a child-made vase! make it the flower. The kids add the stem and leaves and other things. Add the following poem that I changed up a bit. on the back and give it as a gift to mom or dad or sister or brother. Directions: Have the children decorate the pots using various stickers. Mix up a batch of plaster and fill each pot 3/4 full. Let stand for a minute or two or until the silk flowers will stand up in the plaster, insert a fork, handle first. Let harden, place a favorite recipe card in the fork. It makes a great recipe holder for your counter ! Directions: Take a Nestea bottle and remove the label have the children take small scraps of tissue paper and apply to the outside of the bottle with watered down glue and a paint brush. Next, take tissue paper two colors layered and squeeze in the middle so it looks like a butterfly and wrap a pipe cleaner there to hold insert the pipe cleaner in the vase. You will need about 4 flowers to have a full arrangement. Even the 2 year old's find paining the jar easy. Directions: Trace their hand and then glue the fingers down to make the sign for Love (ring and middle fingers down.). Add a chenille stem or a straw as the flower stem. Put some plaster or glue in the bottom of a paper cup and put the stem down into the cup - makes a really cute present. page and invite the children to decorate the page that is the cover of the booklet. In small groups, color the children's lips with lipstick and have them kiss each page of the book. Send it home with a note explaining that the mothers can redeem each page for a real kiss. Need: Construction paper, tempera paint, pie pan, scissors, and a pencil. Directions: Fold the construction paper in half to form a card. Pour enough tempera paint in the pie pan to cover the bottom. Have the child lay the palm of the hand in the paint. Take the hand out of the paint and press the hand on the front of the card, with the small finger along the folded edge. Let dry. Leaving the card folded, cut out the handprint so the card is now in the shape of the handprint. Open the card and write the message. of odds and ends to make this craft. Use markers to draw face in center of plate. Add scraps to make hair, glasses, bowties etc. Cotton balls make great grandpa hair. And be sure you have a variety of colors of yarn available to use for hair. Not all grandparents are gray any more! :) Write "my grandma" (or grandpa) around the edge of the plate, add a yarn hanger, or a magnet. The children and grandparents love these loving portraits! Choose different patterned scraps, already cut into various shapes. It is amazing how many details the children use and I have yet to see anyone add any wrinkles at all! You can make a photo album for grandparents day. Include the following poem. of how I (we) have grown! Mengelaskan objek berdasarkan gambar. (ahli keluarga). Murid menggambarkan ketinggian ahli keluarga. Guru menunjukkan cara untuk menguntai manik. Murid menguntai manik menjadi gelang untuk dihadiahkan pada Ibu. Murid menyambung titik-titik gambar ayah dan ibu.